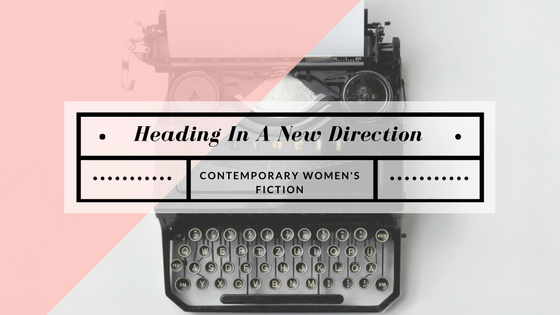 I’m super excited – and a little nervous – to tell you about my new writing direction as I step into the genre of Contemporary Women’s Fiction. As those who follow me on social media will know I’ve recently finished the final draft of my new novel, Cross My Heart and sent it off to my agent. I’ve kept fairly quiet about this one as I’ve been writing it but now that it’s finished it’s time to share more about the book and where I hope it will take me in terms of my writing. My first four novels have all have a thread of romance running through them – in the publishing industry this is known as romantic elements – and have been branded Rural Romance. Readers will know how ever that the main storyline in all of these novels revolves around a dilemma facing the female protagonist, usually to do with family. In Blackwattle Lake Eve had to deal with returning to a home she’d left acrimoniously twenty years before. In Essie’s Way, Miranda was searching for the grandmother she’d always believed to be dead while Essie was a recluse, hiding away from an unkind world. Charlie, the vet in in Close to Home was dealing with both the potentially deadly hendra virus and her own messed up family relationships. And in The Crossroads, Rose, Stephanie and faith all had their own personal dramas as well as the family issue that brought them together. The romantic elements in all four novels varied but never overshadowed the heroine’s individual story. While there was this romantic thread the stronger element of the stories is the female protagonist’s struggle to be the person she truly wants to be. This is really at the core of what I want to write about which is why I’ve decided to broaden out into writing Contemporary Women’s Fiction. In a sense this is what I’ve always written anyway and hopefully what my readers enjoy about my novels. There’s a lot of pressure on authors to stick to one genre or one type of story but I believe you have to write what’s in your heart (pardon the pun) and tell the story that really strikes a chord with you, which is what I have done in my new manuscript. Cross My Heart asks the question: What happens when a promise made means a life is broken? It’s the story of 35 year old Tessa De Santis who becomes foster-mother to 10 year old Grace when her mother dies. Skye, Grace’s mother was Tessa’s best friend, but became a recluse after her daughter was born. Tessa’s decision to honour the promise she made at the child’s birth threatens her marriage, her family relationships and forces her to deal with a second promise, made years before Grace’s birth which she should never have kept. The book is set in the beautiful Central West of NSW and is a haunting story about friendship, guilt and the possibility of forgiveness. I’m hoping that readers who have enjoyed my previous novels will come with me as I move in this slightly new direction. In the end distinctions between genres are more for marketing purposes than anything else, and a good story is a good story, no matter whether it’s romance, crime, mystery or women’s fiction. It’s early days and I’m not yet sure how or when Cross My Heart will be published but I will definitely keep you posted, so watch this space! Sounds exciting Pamela. I am looking forward to ‘Cross My Heart’. Thank you for sharing. Congratulations, Pamela! I’d say we’re all in for an exciting read! Thanks so much Michelle.Hope it works!